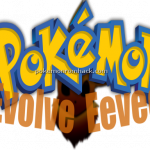 Pokemon Evolve Eevee is a hack of RPG Maker XP from a newbie in PokeCommunity. Have you ever thought that you would enjoy a Pokemon game, but with the Fakemon replaced for the Pokemon themselves? 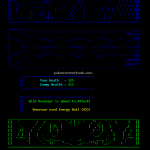 Pokemon ASCII Battle Game! 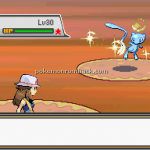 : What do you think about a big mixture of Pokemon and Fakemon? If you like that idea, then Pokemon ASCII Battle Game! is ready for you. Pokemon Evil Dhelmise : A modern storyline with many improvements, but all of them are implemented in an old game based on RPG Maker XP. Sounds a little bit of weird, right? 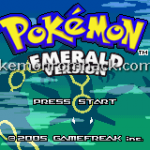 Pokemon Mega Emerald X and Y is a game hack based on Pokemon Emerald. 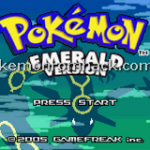 The author jovefreak1993 wants to have a better Emerald version, you can find 42 legendaries in this game. 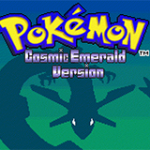 Pokemon CosmicEmerald Version : Now, this hack took a long time to produce. Since I started learning about ROM hacks a few years ago, I’ve been working on small steps at a time. When (maybe 2010?) I can not remember. It has been placed in the gap several times because of the material of life.